I finished another necklace for my Waterfall Collection. 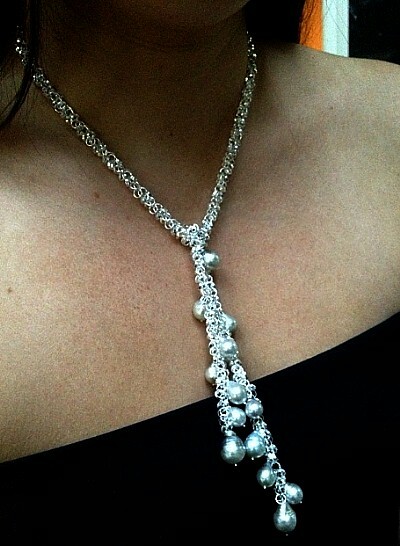 This one has silvery color south sea pearls. Something for that little black dress. This would go great with blue jeans. That’s exactly what I mean about elegant fun. To wear a piece of jewelry with what ever look you like. This is tie front which means you can play. Cluster the pearls. 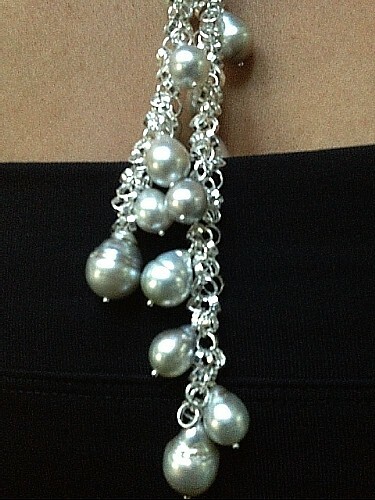 Tie it so one side of the pearls dangles lower. 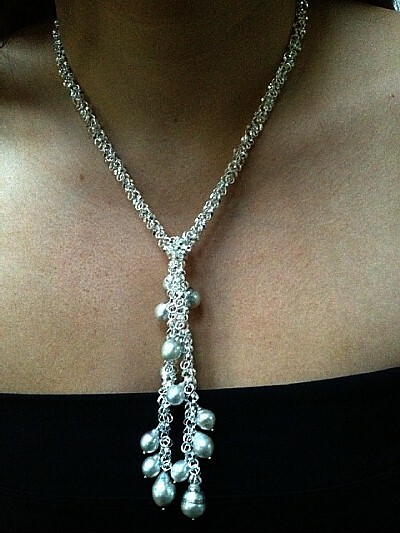 Sterling silver chain. Original design. Handmade by me for Zee.